If you have never worked in a GP Surgery it might come as quite a shock at the amount of people who are involved in running a Practice. There is a lot of staff behind the scenes that are not seen by the general public – but they all play a bit part in the smooth running of the Practice. Here are some of the staff that you might come across whilst working in a GP Surgery. Most consultants take place in the surgery, although doctors may visit patients in their home if they are too ill to attend surgery. Usually GP’s will work different hours each day and some will work part-time. Some GP’s will do clinics that they specialise in their local Hospital. On top of seeing patients the Doctors have a pile of paperwork that needs to be completed every day from signing prescriptions to filling out medical and insurance forms. They often are asked to sign passport forms. All of this takes a lot of their time. Some of the Doctors at the Surgery will head certain parts of the Practice. You might have a Doctor that would be the staff Doctor working closely with the person in charge of staff. Or a Doctor that is the IT Doctor and will work closely with the person in charge of IT. Other areas of the Practice will also have a Doctor involved such as Flu Season and Diabetics/ heart Clinics – they usually work closely with the nurses on these subjects. This usually works well as one Doctor can feed back to the rest of the practice – and its beneficial to staff as their have one person that they can report to rather than several people. Most surgeries will have a team of Practice Nurses and Health Care Assistants. Most surgeries will offer a full range of treatment room services including injections, dressings, ear irrigation suture removal, smears and blood taking and many more. Some Surgeries have a phlebotomist – which is a person trained to take blood. Often a Receptionist can be trained up to do this. Practice Nurses also monitor conditions such as diabetes, asthma, and blood pressure and may advise well women and give travel advice. HCA’s (Health Care Assistants) will help the Practice Nurse in her day-to-day clinics. District Nurses are registered general nurses with a certificate or diploma in district nursing. Their roles include assessing patient’s needs in their own home, checking patients following hospital discharge, giving professional nursing and advice and health education in the community. They can also nurse the terminally ill that chose to be at home rather than in the hospital. 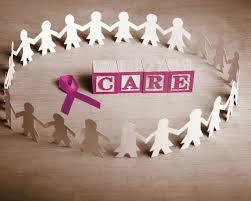 They work very closely not only with the patients but the patients family and friends. District nurses work very closely with the practice to ensure that patients receive the best possible care and attention. Communication is vital and you as a Receptionist will be part of that team when passing verbal messages. Often a surgery will have a team or a single health visitor. They might also have a nursery nurse and they supply support in all areas of childcare, safety and prevention of accidents in the home. They usually hold baby clinics in the surgery which incorporate some of the immunisation programme. They may also hold a number of courses including stress management and dietary advice. The Surgery might have a midwife. The midwife will normally come in once or twice a week and run an ante-natal clinic for pregnant mums. By having a midwife in the Surgery it means that the pregnant mums can have their checks up at the Surgery rather than keep going to the hospital. These may include staff you may meet within the Surgery that might include Clinical Psychologist, physiotherapists, counsellors and dietitians and other healthcare professionals. Medical students can often be attached to the Practice. Patients will be advised by the receptionist when there is a student sitting in with the Doctor. If the patient is not happy with this please let the Doctor know before the patient goes into the room. Locum Doctors are doctors that cover a Practice Doctor when they are on holiday, on a course or off sick for some time. Some Practices use locums on a regular basis and therefore become very familiar with the Practice and become part of the team. These are new qualified Doctors gaining experience in a Practice. A Registrar will usually shadow a Doctor and will sometimes take a clinic on his or her own. Again, you must explain to the patient that they are with the Doctor or working in place of the Doctor. Registrar Doctors unlike Locum Doctors may be at the Practice for some months – therefore patients will ask to see them and they are very much become part of the team. The patients will not often see the Practice Manager unless they have a query or a complaint. The Practice Manager is responsible for the smooth running of the practice and will usually do all the accounts HR and payroll. She will work closely with the Doctors to ensure that all areas of the Practice are running as efficiently as possible. In larger Practices the Practice Manager will often have an Assistant Practice Manager and her own Secretary. Some Practices will have more in their Management team – some a lot less. Most Surgeries will have a Supervisor or a Senior Receptionist. She/he will take on the day-to-day running of the Reception area. The Supervisor / Senior Receptionist will work closely with the Practice Manager and the staff Doctor to highlight issues around Reception and staff. 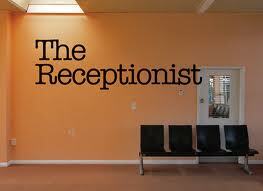 If you have any concerns as a Receptionist your first point of contact should be your Supervisor / Senior Receptionist. You will usually notify her/him of any holiday that you wish to take – or speak to them in the event of your not coming into work due to sickness. If you feel the need for any training you should highlight this with your Supervisor / Senior Receptionist. The secretary for the Surgery is usually responsible for the typing of all the doctors’ correspondence. She has a lot of contact with the local hospitals regarding referrals and has contact with patients due to this. She will also have contact with other areas of the health care sector. You will often find that you will be directing telephone calls to the secretary – so be aware of the hours that she does – as often the secretary only works part-time. The Practice will usually have a cleaner or a team of cleaners. Some Practices employ their own cleaners others use outside contractors. Cleaners are still an important part of the team – their job is important – and very crucial to the safe wellbeing of staff and patients. But, if you are concerned at any time about the standards of cleaning, please do not ignore it; speak to your Supervisor / Senior Receptionist who will bring it to the attention of the cleaner. 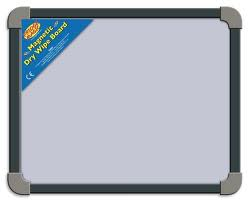 High standards of cleaning are vital. 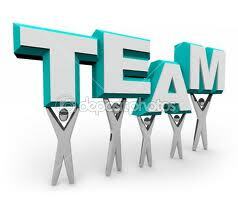 The brief outline of staff might give you so idea of what makes a Team at a Surgery. It takes the whole team to make the Practice a success. 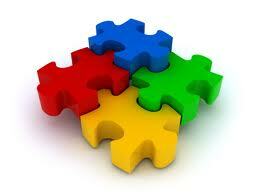 Everyone is like a piece of a jigsaw – and when they all fit in together the team is complete. As a Receptionist you will be the first point of contact for the patient either by telephone or when visiting the surgery. Your primary skill will be dealing with people when they might be distressed, or confused, either face to face or over the telephone. You will need to understand the daily workings of your surgery, who works when and where and understand the appointments system. You will need to know who to contact regarding certain issues, how to record a message and how to use your judgement in matters than seem urgent. You will juggle with numerous forms, booklets, lists and sources of information. Sometimes you may be called on to help a nurse, or act as a chaperone. At times, you will feel you are doing all these tasks at once, and getting grumbled at because you have forgotten to book a patient in, or simply forgetting to make that cup of coffee you promised someone over an hour ago. But please don’t despair if it all seems too much at first. We have all been there and got through it. No-one expects you to learn the job at once; it can take up to 6 months to really start to know your way around all the different systems and clinics. Do not despair – but remember PLEASE ask – no one minds how many times you ask – they would prefer than rather than you make a mistake. Working as a Doctors Receptionist is like Marmite – you either love it or hate it. love it and you will get a lot of job satisfaction from it and will probably be there for years. Every surgery will have new patients registering on a regular basis. How do you register your new patients? When I first started working at the Surgery we used to give patients a “new patients” form to complete. The patient would fill in the form hand it back to the receptionist we would then process it and request their notes from their previous Doctors. Sometimes we would not see that patient for a long time, other times they would be regular patients to the surgery. I was made up to Surgery Supervisor – one of my roles was to look at ways of improving the services in the Surgery. One of them was when registering new patients. When a new patient came into register I would take them aside to one of the rooms. I would ask them to complete the form(s) once for each member of their family and I left them for a few minutes. When I went back I quickly checked that the forms had all been filled out correctly – this saved time if they had not. Was it just a single person? Was it a family – if so how many children did they have? Or did they have an elderly parent living at home with them? Were they a Carer for someone? Well by determining this it would give me some idea of who they might want to see if they needed to come to the surgery. WHY FIND OUT THIS INFORMATION? By finding out this information I could tell the patient a bit more about the practice. Information that would be best suited to them. There was a Doctor that was excellent in dermatology and a Doctor that dealt in paediatrics. I explained that we had a female doctor but she only worked part-time and told them the days she worked. Often the new patient might be pregnant and I would tell them about the services we had and when our weekly anti natal clinics was held. If they had an elderly person living with them or a disabled child/adult I told them about the Carers Group when held at the Surgery. N.B. This was before Practices had Practice Booklets. So no other information was available at this stage. I would tell them our policy of requesting a prescription. Told them what times were best to call for appointments and home visits and best times to avoid. I explained that we were closed at lunchtime but open until 7.00pm. I would try to give the new patient as much information as I could that was best suited to them. After all a single man would not be interested much in our anti natal clinic would he? they were asking for and when this perhaps was at our busiest time i.e first thing in the morning it certainly helped the receptionist as she could often deal with the request quickly and efficiently. Rather that the patient asking several questions over the phone – which I had been able to answer when the registered. time further down the line.